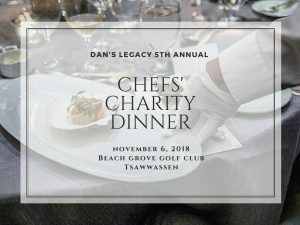 Our 5th Annual Chef’s Charity Dinner presented by CN Rail takes place on Tuesday, November 6th, 2018 at 6:00pm at the beautiful Beach Grove Golf Club in Tsawwassen. We invite you to join us for a fabulous evening of gourmet cuisine, music, live and silent auctions, and a special announcement about our new work-skills training project. New for 2018! The entire menu will be prepared using surplus food. We’re thrilled to announce that Beach Grove Golf Club’s Executive Chef Froilan Alejo, Chef Shay Kelly (The Caterer), Chefs TJ Conwi and Bruce Nollert (Ono Vancouver) and Pastry Chef Vanessa Trotte (The Caterer) are this year’s stellar lineup of Chefs. Award-winning filmmaker CBC host Angela Sterritt has graciously agreed to be our MC, and our good friend Fred Lee will be joining us again as our auctioneer. 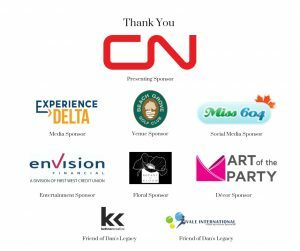 The annual gala is our signature fundraising event where we thank the community for its support, and recognize the outstanding courage and hard work of our youth clients. Tickets are $200 and a table of 8 is $1,600 – Purchase your ticket now! Interested in volunteering? Sign up here and thank you for your support! Sponsorships are also available – click below to download an event package or contact Barbara Coates for more information.